Most people prefer to stay inside at the shelter of their households during winter. How cozy it is to curl up on your couch with a bushy blanket and a mug of hot chocolate in your icy hands. Since most of the time you will be staying indoors for this season, why not garb up your home to give you the cozy winter atmosphere? 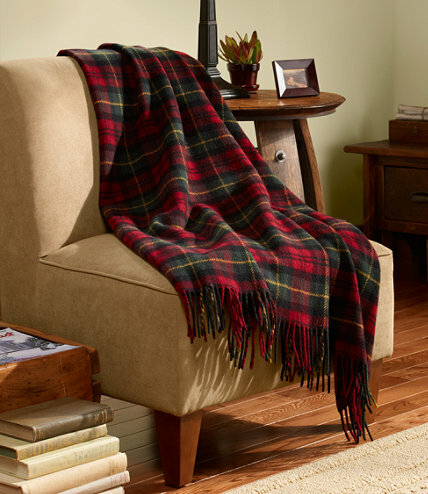 Plaid throws are more of a Canadian Cabin style, but doesn’t it look warm and soft? Also you can put in throws, especially when the temperature plummets at night. Save on your heating costs by having these quilts ready. A good smelling house is a plus point; it plays a big role in creating a cozy ambience for your home. 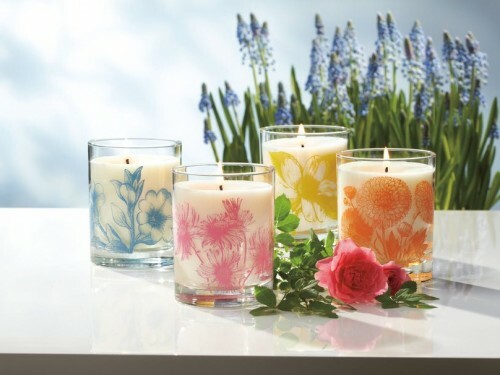 You can use scented candles or oils, diffusers and room sprays. You may want to try woodsy aroma for a winter cabin fragrance. Expect visitors to drop by your place sometime during the winter, so make sure you have faux fur booties ready to be used by your visitors. Also, if you have tiles as flooring for some parts of your home, do not forget to put in floor carpet runners. You can avoid having stepped on a chilling cold tile especially if you just rolled out of bed. This may cost a bit, but you deserve a little indulgence once in a while. Get yourself a towel warmer. This is a big help when you are done showering or taking a bath, you can enjoy a snug warm towel wrapped around your body so you don’t feel icy after hopping out of the shower. Use soft textures like cashmere, velvet, faux fur or wool to your home. You may do this in your living room or create a day bed with a flannel sheet set, and use this space as your winter sanctuary as you read a good book with that hot chocolate. 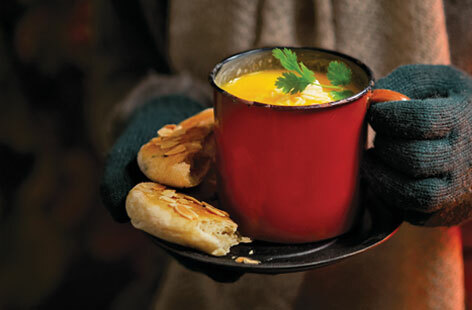 Nothing is warmer than having the whiff of a warm soup or stew fills the nostrils of your guests. Imagine your guests having to endure the cold temperature outside as they tread from their cars to your door, then they will be greeted with the scent of the delightful warm soup you have prepared. Even you can’t wait to put a spoonful into your mouth. How about giving those cold toes a tickle? Having a furry shag rug in your living room can help your feet stay warm. And do not forget to light up a few candles as you devote your nights watching TV or snuggling up with your loved ones. A soft candlelight never failed to give your space the cozy atmosphere. 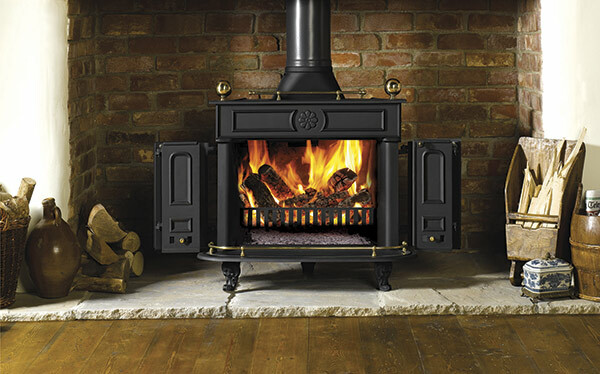 And last but not the least, try a wood burning stove. Switch from your gas fireplaces to this easy to set up wood-burning stoves and reward yourself with the soothing smell of a wood stove, as if you are in a real winter cabin. Not only will it make you feel warm, it will also aid in keeping your heating costs down. Keep in mind that winter is not a reason for you to waste your time away locked in your rooms as you wait for spring to come. Take advantage of the cold season and use it as an excuse to spend your days cozying up with your family or by finishing a good book on your day bed.